In a speech that was met with more “amens” than applause and peppered with Bible verses rather than policy, Republican Senate candidate Roy Moore told congregants at the Walker Springs Road Baptist Church in Jackson, Alabama Tuesday night that he’s facing a “spiritual battle” in the last 28 days of his Senate bid. That “battle” likely centers around the mounting allegations of inappropriate sexual conduct with teenagers by Moore when he was in his 30s. The former state Supreme Court chief justice quickly dismissed the topic Tuesday. “Obviously I made a few people mad. I’m the only one who can unite Democrats and Republicans because I seem to be opposed by both. Some have spent over $30 million to try and push me out. They’ve done everything they could and now they’re together, they’re trying to keep me from going to Washington,” he said, before launching into the thesis of his sermon— the need for God to “save our land” through Christians like himself. 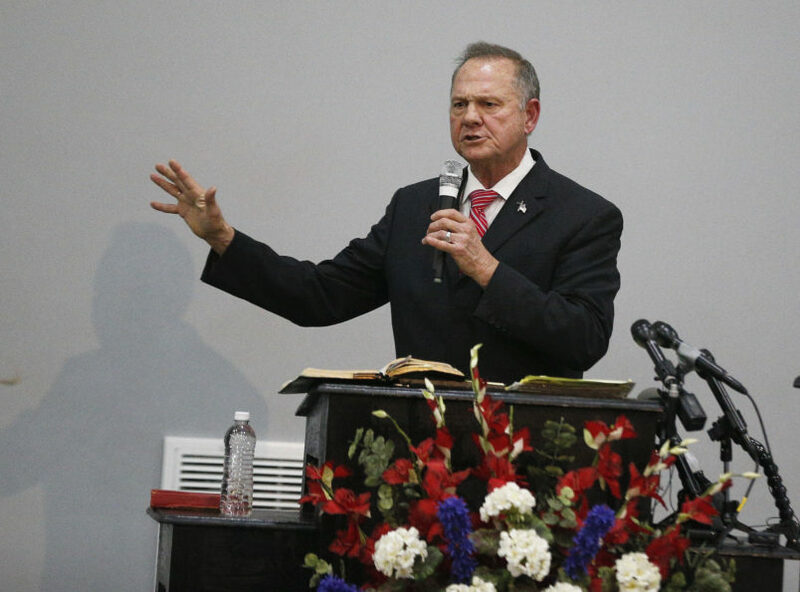 While he never directly addressed the allegations that were first reported by The Washington Post last week, Moore said he was facing “an evil day” and said it was time for Christians to take a stand. Moore claimed that if it was “God’s will” he would make it to Congress, and he continued to paint himself as a martyr. “Don’t think when you stand for truth, when you stand for the recognition of God, that you’re not going to be attacked,” he said. The sermon came after days of pressure from top Republicans and GOP fundraisers to push Moore to drop his Senate bid. On Tuesday, Senate Majority Leader Mitch McConnell (R-KY) said that Moore was “obviously not fit” to serve in Congress and the Republican National Committee announced it was pulling out of its joint fundraising agreement with the candidate.